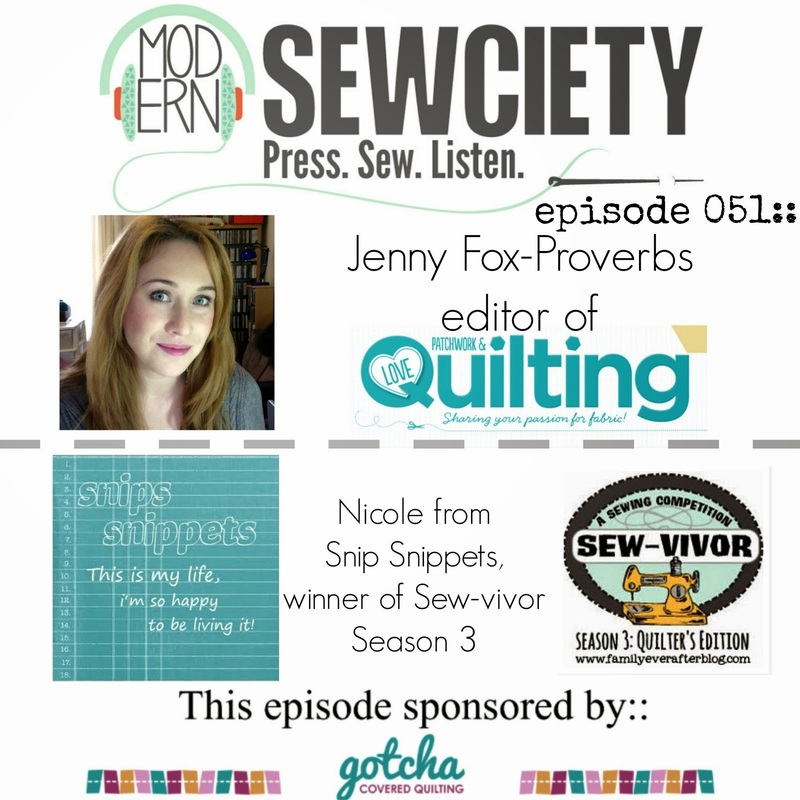 To say I was excited to find out my super talented Sewvivor bestie Angie, from GnomeAngel, was writing a book would be the understatement of the year. So of course before it was even finished I asked, no demanded! to be part of the book tour, haha! Without even seeing all the projects I knew it was going to be amazing! And let me tell you, Angie did not disappoint! 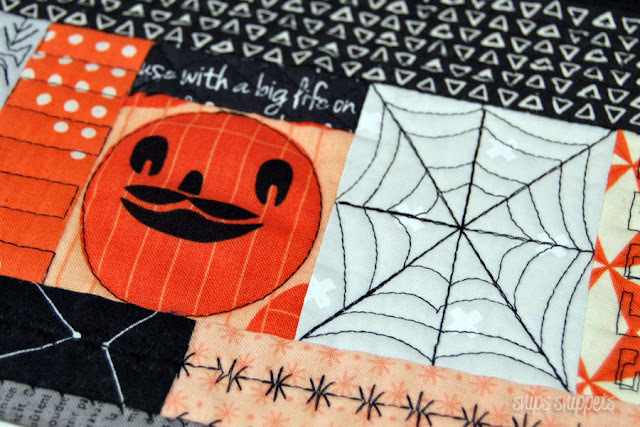 This book has something for everyone, with projects both big and small! And did I mention it was an entirely fussy cut book?! You all know how much I love fussy cutting! 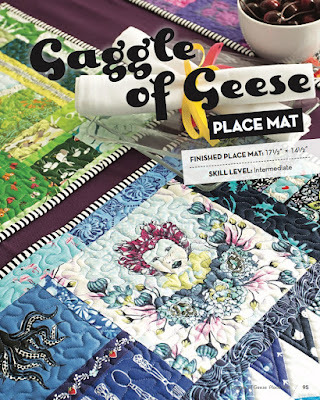 I made the decision right away to try out the Gaggle of Geese place mat. 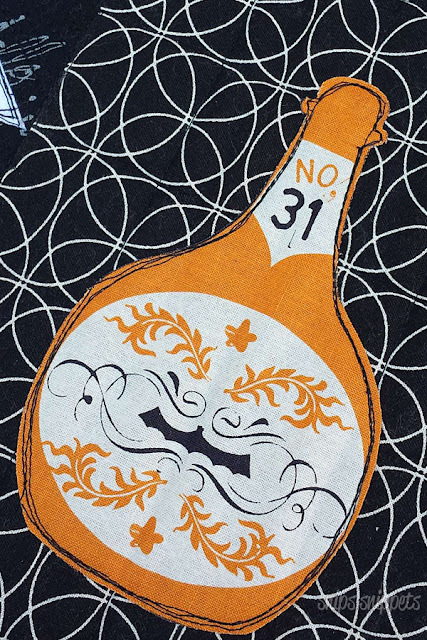 And with Halloween coming up of course I needed to cut into my stash of Lizzy House Guising for this project. I'm going to be honest here friends and tell you that I'm absolutely rubbish at any sort of improv. It kind of makes me twitchy. Which was one of the reasons I chose this project, it's time to get out of my comfort zone! ...while still being able to have a bit of structure in the form of the flying geese blocks. Let's not get too crazy here! 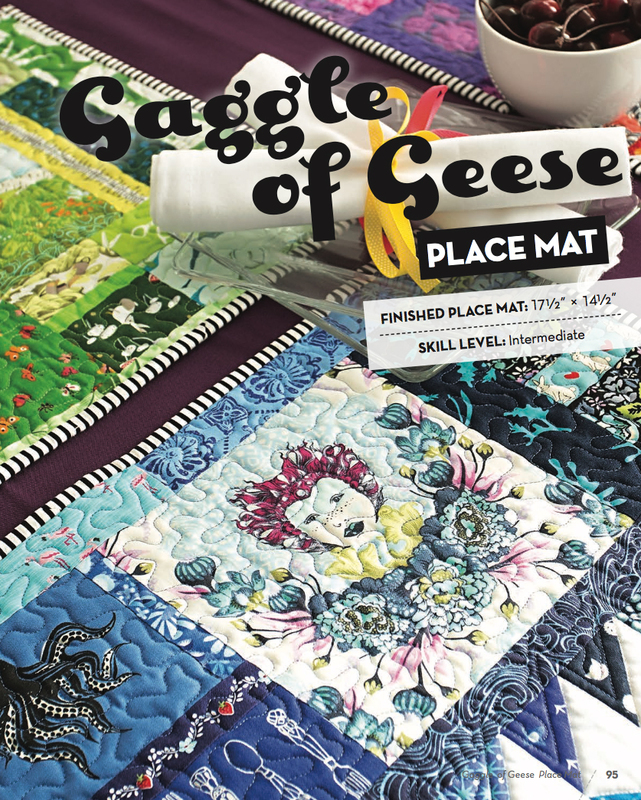 The flying geese were the only part of the of the project that required actual measurements, but Angie's instructions and tips though for improv fussy cutting and piecing were absolutely fantastic! 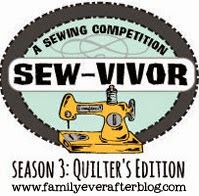 I had no problems just letting loose and cutting and sewing to my hearts content. Seriously, she made it so easy! And for those of you that know my insanely precise style of fussy cutting, getting me to loosen up a bit is no easy task! This one was made for my youngest son Max and I think it's safe to say he loves it! I added on some applique bits and did some sketch stitching, including his initial because what kid doesn't like having their name or initials on things! 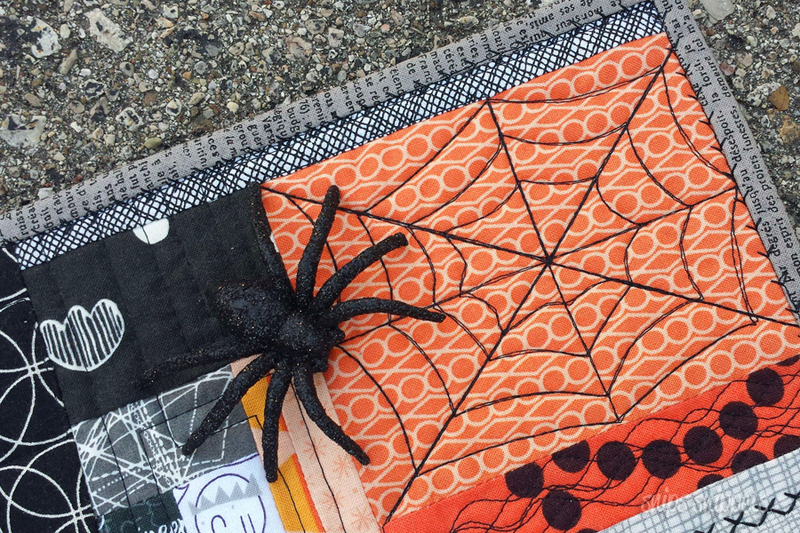 I also tried my hand at quilting in some spider webs, which of course Max also loved! 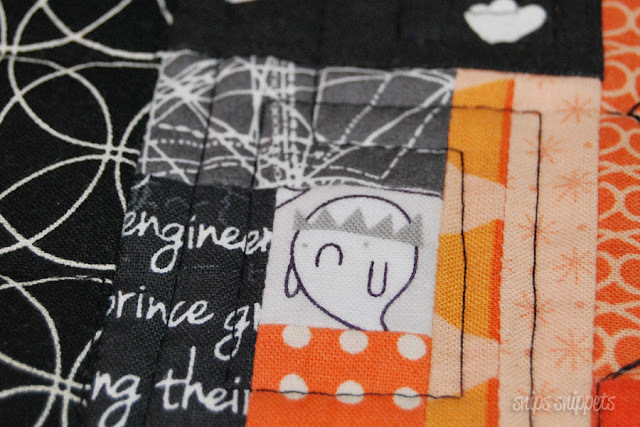 The quilting was decided by Max, he loved choosing all the decorative stitches and telling me where they should go, some worked, others... not so much, haha! But it was a fun project to work on with him and definitely one I'll be making again! Sammy has one as well but it's still in the design phase as he's making it himself. 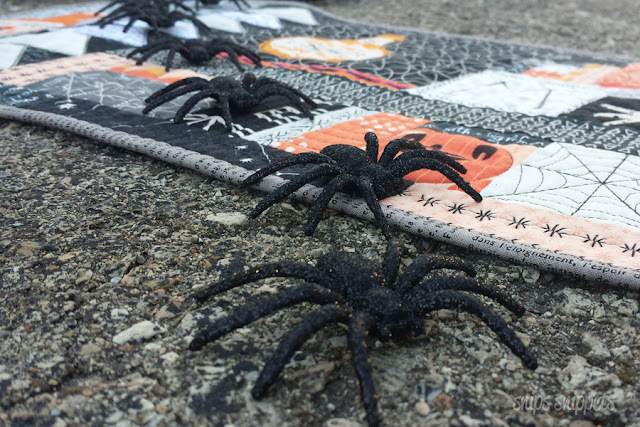 It should be ready by next Halloween! But there will be Christmas place mats on our table this year! 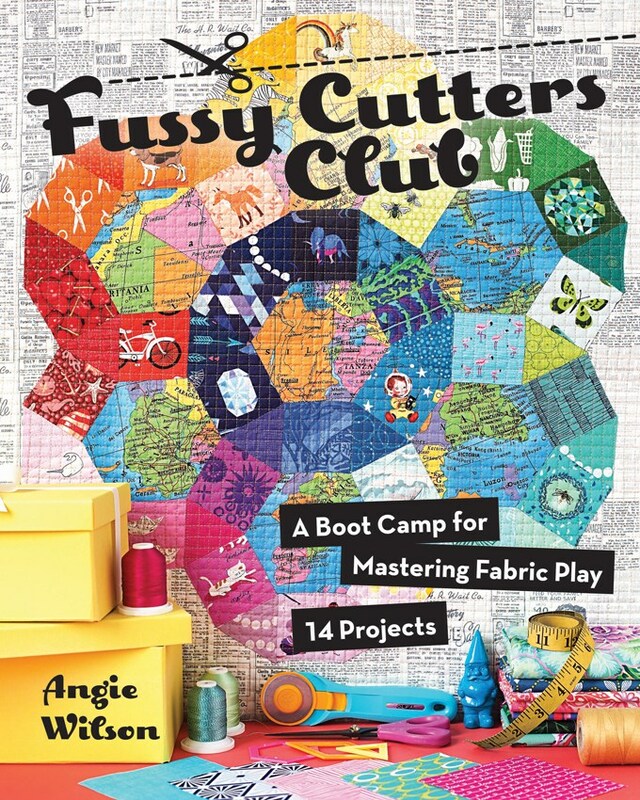 For all you out there that haven't tried fussy cutting, or want to up your fussy cutting game this is definitely the book you want. 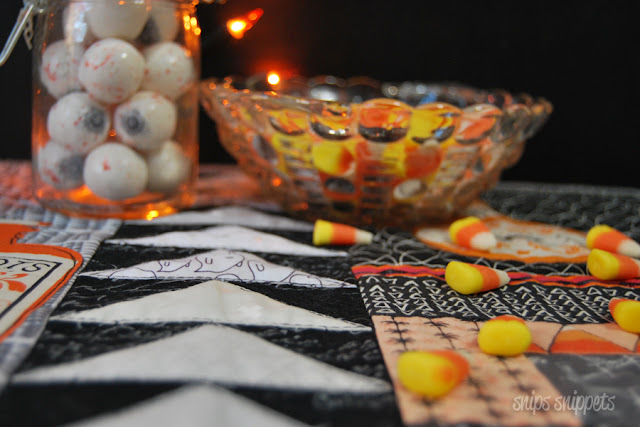 Angie has a very laid back style that makes it super easy to learn from and all her tips, tricks and instructions are so very easy to understand. She even has a fussy cutters manifesto!! And with projects ranging from little zip pouches all the way up to gorgeously fussy cut quilts, there is a project for absolutely everyone! 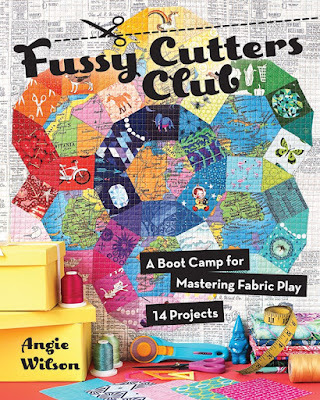 And for more info on Angie's book please check out the Fussy Cutters Club website, or Angie's blog, she always has all kinds of fun things happening over there! 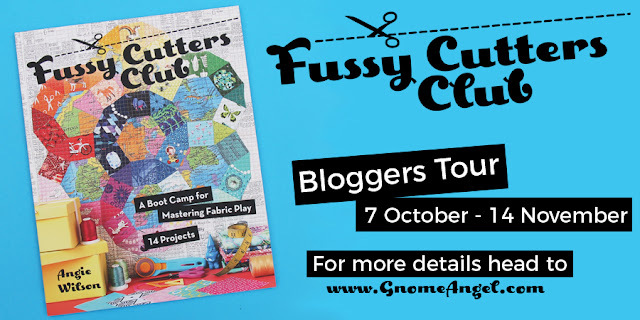 Thanks so much Ange for letting me help on your blog hop, your book is a work of art and it was such a treat to learn from you! High fives are all for Angie today! Great Book! I agree! 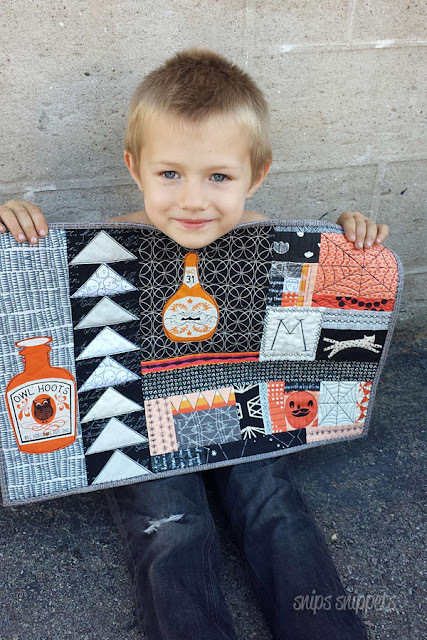 Thanks for sharing your adorable little fella with us as well!